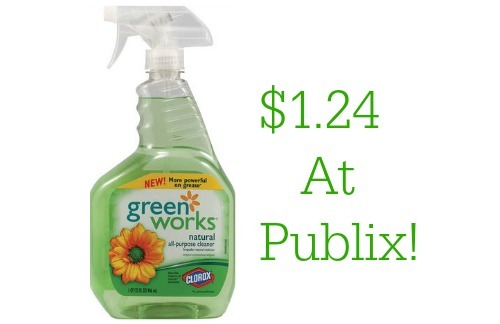 Home > Printable Coupons > Green Works Coupon | $1.24 At Publix! Green Works Coupon | $1.24 At Publix! There’s a new Green Works coupon available so make sure to print your copies! You can pair it with a Snap offer and get a great deal at Publix. If you’re new to Snap, you can learn more about it here. It’s always more fun to clean when you know you have gotten a good deal on your products. Like getting it for $1.24!